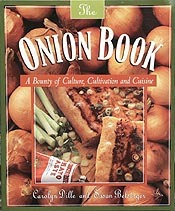 ~ Although this book contains mostly recipes for desserts, it is called not just desserts because the recipes are much more than that. These sweet herbal recipes are simple, homey desserts-some traditional, others innovative–all of them are made delicious because of the addition of herbs. 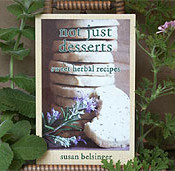 ~ These recipes will inspire you to experiment and add more herbs to your cooking. Think of this as one big sweet herbal adventure. Once you have tasted some of these recipes you will agree that these are not just desserts! 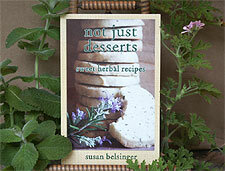 ~ Susan Belsinger is a culinary herbalist who loves playing with food. She delights in kitchen alchemy–the blending of harmonious foods, herbs, and spices–to create real, delicious food that nourishes our bodies and spirits and titillates our senses. She travels about the country to educate people about gardening & cooking, through her teaching, lecturing, writing, & photography. 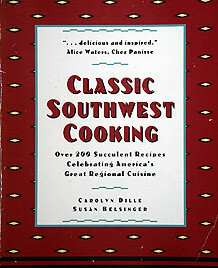 Susan Belsinger, published in 2005.